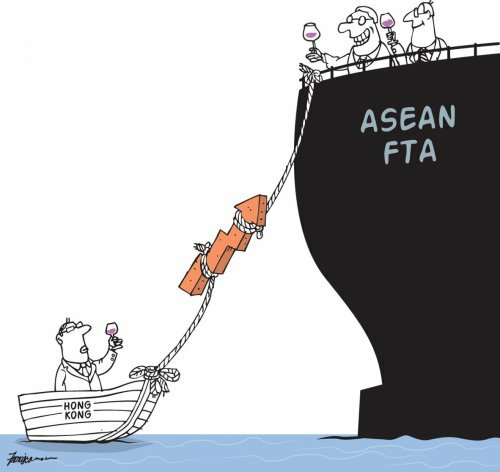 Xinhua quoted Law Kin-wai, director general of the Hong Kong Economic and Trade Office in Jakarta, Indonesia, as saying on February 12 that member states of the Association of Southeast Asian Nations (ASEAN) are proceeding with necessary domestic ratifications and procedures that would pave the way for the enforcement of the FTA. Representatives from ASEAN member states and the special administrative region of China signed the pact and an investment agreement in November 2017. Law said both sides wanted the FTA to come into force in 2019, preferably in the middle of the year. The agreement looks to offer more legal certainty and easier market access for goods flow between ASEAN and Hong Kong. Under the trade deal, Brunei, Malaysia, the Philippines and Thailand, agreed to cut customs duties of 85 percent of goods listed in their tariff schedules within 10 years. The ASEAN comprises 10 member states, namely Brunei, Cambodia, Indonesia, Laos, Malaysia, Myanmar, the Philippines, Singapore, Thailand and Vietnam.